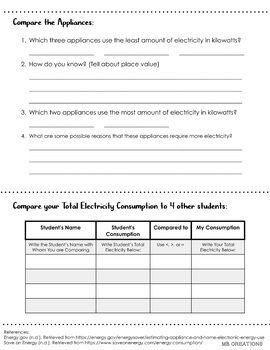 Use this lesson plan and class activity to explore how much electricity your students use on a typical day. 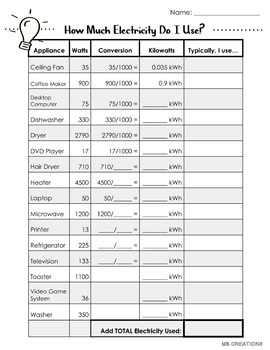 Compare different appliances and find out how many kilowatts each consumes. Convert watts to kilowatts and compare numbers in decimal form. 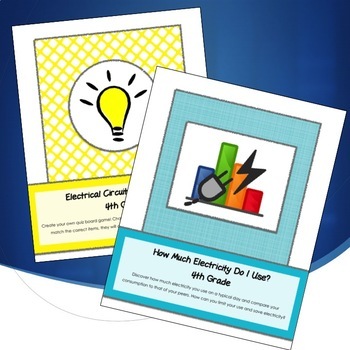 Add decimals together to find the total amount of electricity a student uses each day. Extra helps are available for students who may need step by step instructions. 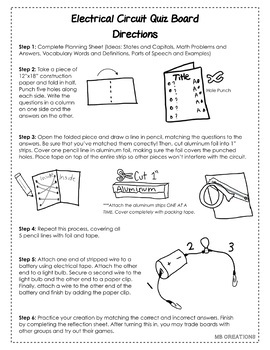 This lesson plan and project instructions are perfect for middle-grade learners who are studying electricity. Discover how to make a circuit work by assembling a quiz game board using aluminum foil, tape, wires, paper clips, a D battery, and a tiny light bulb. Then, challenge friends to solve your problems and see if they can match the correct items - thus activating the light. I utilize the reflection sheet as one form of assessment. This is a great project-based learning activity and fun to share with families at parent/teacher conferences or science fairs.